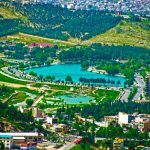 Khorramabad is a mountainous city which is located among the Zagros Mountains. 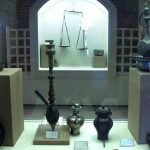 Khorramabad is central city of Lorestan province and the twenty-third populous city of Iran. 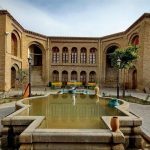 Khorramabad’s weather is moderate and famous for its beautiful waterfalls, big and small rivers, fountains, and green nature. 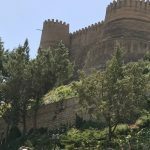 This city is the most important one in the Sassanid era and Falak-ol-Aflak Castle referred to that time. 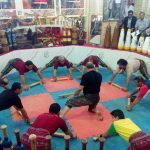 Shrimp weaving, woolen weaving, carpet weaving art, weaving knitting, Erect, felt, mat weaving, Givi, Jajim weaving art, Warsaw are Khorramabad handicrafts. 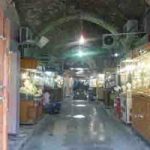 Also, the famous souvenirs of this city include Meal bread, Animal oil, Kak cookies, Halvah Ardeh, honey, Borsagh bread. 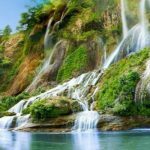 The gorgeous waterfalls in lorestan Province please your soul and ears with its nice nature. The great section of this beautiful Greenland belongs to the waterfalls which absorb lots of tourists throughout a year. 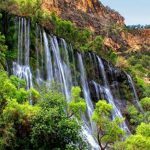 One of the most beautiful waterfalls is Gerit Waterfall which is located in the North-east of Khorram Abad province through a valley full of Oak and Hawthorn plants. 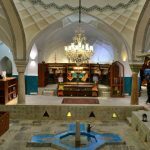 Haft cheshmeh is another name of Gerit waterfall. 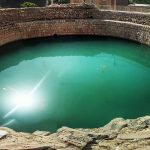 There are 7 small and big springs above the waterfall and it is the most important reason to name this. 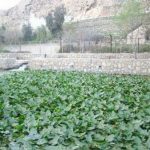 The water of Haft cheshmeh is limpid and delectable. The people of the villages around it use its water. The Greit Waterfall includes the main waterfall with 15 and 17 dimensions and many small tiered waterfalls. The distance of village to Gerit waterfall is about an hour and its rout is full of beautiful trees. 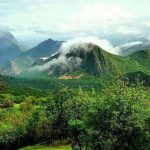 This city is located in the west of Iran which surrounded by mountains and has a beautiful nature. 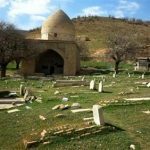 The distance of Sepiddasht to Khorramabad is 80 kilometers. 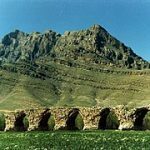 Sepiddasht is the city of waterfalls and railways. Also, the sound of train horn, the wealds full of trees, and the rivers gain to the beauty of this region. The following waterfalls like Taf, Shevi, Gerit and so on are the near ones to this place. 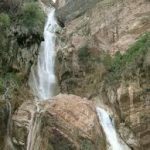 Shevi Waterfall: Taleh Zang is another name of this waterfall that is through Khuzestan and Lorestan border and is located throughout Sartang Shevi Mountains around Shevi village. Also, the distance of waterfall and train station is 10 kilometers. Shevi waterfall is one of the most beautiful Iran’s waterfalls which flow of cave and drop from long ghaut. The height of Taleh Zang waterfall is 100 meters and its width is 40 meters which gains to its beauty. The Oak and Almond trees are this region vegetation. 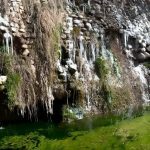 Bisheh waterfall: this beautiful waterfall boils out from Zagros Mountain which is in the Dorud province and its distance to city is 35 kilometers. The height of waterfall is 48 meters and its width is 20 meters. Also, the distance of the fall in order to reach to the Caesar River is 10 meters. Different varieties of spring boil out at the top of the mountain which is above the waterfall. This region’s weather is cool and green and the mountains add to its natural beauty. Ab Sefid Waterfall: Ab Sefid Waterfall in Zelaki of Aligudarz within 50 kilometers distance to the Khorramabad is located in Aligudarz rocks. The height of waterfall is 70 meters and its width is 8 meters. This waterfall reaches to the Roudbar and Dez Rivers. 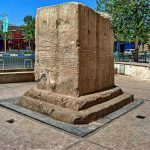 The reason of naming this waterfall to Ab Sefid is its contacts with huge stone which leads to foam. 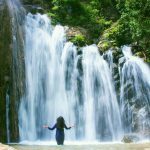 Nozhian Waterfall: Nozhian Waterfall is one of the most famous waterfalls in the South-East of Khorramabad and is located within the distance of 79 kilometers to Aligoudarz. The height of this waterfall is 95 meters and its width is 5 meters. This waterfall flows at the top of the Taf Mountain. Also, different varieties of medical plants grow there. 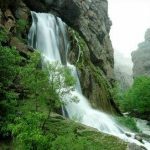 Chekan Waterfall: this waterfall is located in the height’s range to Chekan Valley in Aligudarz Province and its distance to Khorramabad is 141 kilometers. Chekan waterfall’s height is 30 meters and its width is 4 meters. Hawthorn, Plane, Walnut, and pear trees are this region vegetation. 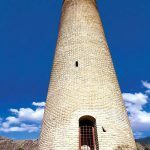 Vark Waterfall: this waterfall is located in the west of Nozhian’s ghaut and its distance to khorramabad is 60 Kilometers. Vark Waterfall’s height is 57 meters and its width is 50 meters. 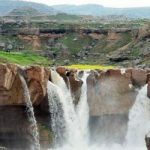 Sarkaneh and Afarineh Waterfall: the distance of this waterfall to Papi section in gerit Village is about an hour and its distance to Khorramabad is 50 kilometers. This waterfall is settled near Afarineh Village. 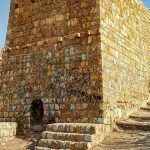 Afarineh Waterfall height is 15 meters and its width is 15 meters.